From 1976 through 1978—in the wake of the massive Watergate scandal and the resignation of President Richard Nixon—The House Select Committee on Assassinations formed to investigate the murder of President John F. Kennedy. They also looked into other politically motivated murders both here and abroad, including those that may have been carried out by the American military and the CIA. Eventually, the congressional committee concluded that President Kennedy was killed by a conspiracy. That was the official finding. How many people know this? This same body of August politicians and investigators determined that the assassination was likely carried out by elements within the Mafia, although, this final conclusion, regarding the Mob’s involvement, was unofficial. The clincher was the acoustical sound evidence of gunfire in Dealy Plaza where Kennedy was murdered in broad daylight, with cameras rolling, in front of thousands of eyewitnesses. 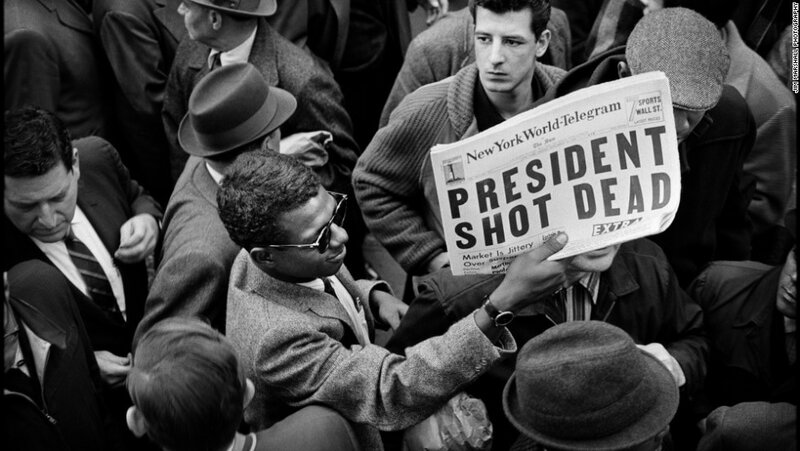 The investigation concluded there were too many shots fired, to have come from a single rifle, thus they were left with one conclusion, that Kennedy had been assassinated as the result of a conspiracy. Rather than creating a groundswell for justice, with an eager media investigating the murder of an American president, the press mostly fell silent after an initial flurry of activity. Books were written, of course. Movies were made. But the press, filled with eager reporters who should have been looking at this once-in-a lifetime story—for the most part—just shrugged. In response to the official congressional explanation, CBS produced its own documentary, with no less a figure than Walter Cronkite, America’s newsman and the most trusted voice in American journalism at the time. After reviewing the evidence, Cronkite and CBS came to a very different conclusion. In order to refute the scientific findings of the official investigation, CBS located an unknown rock drummer to act as their expert witness. This drummer wasn't a scientist, which should have dismissed him as a reliable source. The authoritative voice of Walter Cronkite, however, assured the America people that he was probably right and, the actual scientists, working for congress, were probably wrong. They also made the case that Oswald, the communist sympathizer, armed with a rusty WWII, Italian made rifle, with a misaligned scope, was the lone assassin and nobody else. William S. Paley, the head of CBS is known to have been an unofficial asset of the CIA, according to Carl Bernstein, the man who helped break the Watergate scandal. Paley was also the head of radio operations for psychological warfare during WWII. Let me be clear, I’m not questioning Paley’s patriotism, only his motive for working so hard to refute The House Select Committee on Assassinations official findings. The most likely answer, I believe, is that Paley was acting in what he thought was America’s best interest. At the same time the Kennedy case was being re-investigated, congress concluded that the CIA was involved in assassinations and the attempted assassinations of foreign leaders around the world. It was, after all, the middle of “The Cold War” and Soviet led communism was a very real, very lethal threat. So extreme actions were deemed necessary by our military apparatus. If a few eggs had to be broken in the process, that was the price that needed to be paid, in order to sustain democracy and stave off a potential nuclear war that could have led to the deaths of hundreds of millions of people globally. Following the collapse of the Berlin Wall in 1989, The Black Book of Communism was published by a number of European academics. It concluded that communist leaders were responsible for as many as 100 million deaths through gulags and mass starvations, as well as other means, all of which was done in effort to create the great socialist utopia. The question of right and wrong has to be understood in this context. Even so, it is hard to justify the CIA acting with so little restraint, especially against American targets. Where were the legal restraints on an organization, operating under the radar and outside the law? The CIA could and did infiltrate news organizations and businesses, in an effort to disseminate propaganda against perceived enemies, both foreign and domestic? There were foreign operatives at work in the U.S. government and in the media, as well. Eventually, after a time, the furor of misdeeds by America’s military and intelligence agencies died down. Likewise the final conclusions about the conspiratorial nature of the Kennedy assassination died with it, as far as the mainstream press were concerned. Only occasionally do they question the truthfulness of the official narrative offered by the original Warren Report, while generally ignoring the later conclusions drawn by the much larger congressional study that found the killing was the result of a conspiracy. In 1988, members of the FBI and the National Academy of Sciences released their own findings, concluding that the sound recording of the assassination did not support the theory of conspiracy and multiple shooters, adding to the mountain of contrary information and evidence, which only served to muddy the water. Coming to any firm conclusion, then, is as elusive as the multiplicity of opinion regarding human origins or the existence of god. In 1992 Robert Blakey, professor emeritus at Notre Dame and legal council to the House Committee on Assassinations, and the man who drafted the 1970 RICO Act against organized crime, concluded that the CIA could not be trusted to investigate Lee Harvey Oswald's role in the Kennedy assassination. Saying they consciously withheld evidence and used disinformation tactics to confuse the issue. This is a small glimpse into the world of news and propaganda. You can see these elements at work today, as information and disinformation vie for space in the heads Americans, while stories about “Fake News” are everywhere. Fake news is real. It’s just not always easy to determine which news is fake and which isn't. In fact, for the layman, it may be nearly impossible. These are the games that powerful people play. They played them then. They play them now. And, just as they were active throughout the media 50 years ago, they slide between the cracks, today—blurring the line just enough to make any fact finding mission a dead end—leading everywhere and nowhere.